People deal with the enormity of the Holocaust in various ways. It's tough to comprehend countries declaring total war not on another country, but on civilians in their own territory with no way to defend themselves, Winston Churchill grappled with it and declared it a crime with no name. Thus the new word genocide. Some of us take refuge in revenge stories, like Eric Lensherr (played in X-Men First Class by Michael Fassbender, above) pursuing his trail back to his tormentor via Argentina. Others cope by delving into tendentious interpretations of various things said or written by a small number of players at the time -- and all have in common that they are musings irrelevant to the fact that the killing kept going and the trains kept rolling long past the time when it made it any sense for the Nazis and their collaborators. It wasn't about the Zionism. It was about the killing. Good luck Ken Livingstone ... David Irving is just down the shelf from where you are now on the bookshelf. Benchmarking was meant to link private and public sector wages, but was compared to an ATM for public sector workers. The public sector wanted to be paid the same as the private sector, but without the same terms and conditions, while retaining their job security and pension entitlements. Mr [Micheál] Martin [Fianna Fáil leader] claimed this was his main concern, and said he “would never have been an advocate for the massive tax reductions that happened”. A commission to examine pay levels across the public sector, including for new entrants, is proposed in the agreement to allow Fianna Fáil to facilitate a Fine Gael-led minority government. The commission, to be established within six months, is cast by sources as a mechanism for preventing strikes across the public sector, which would have the potential to cripple a minority government reliant on opposition co-operation ... A Fianna Fáil source described the commission as a benchmarking-type process” that is likely to look at all pay levels. This comes on top of the pathetic concession to Fianna Fáil to drop water charges which wouldn't have been even at the level of the supposedly massively subsidized water in wasteful Saudi Arabia. If anyone has any doubts about why the Irish economic crisis happened, or whether ir could happen again, they only need look at what is happening when Fianna Fáil got back in a position of policy influence. [outrage] on Tuesday he claimed that the Mufti of Jerusalem, Haj Amin al-Husseini, was the one who planted the idea of the extermination of European Jewry in Adolf Hitler's mind. The Nazi ruler ... had no intention of killing the Jews, but only to expel them. That would be Israeli Prime Minister, Benjamin Netanyahu last year. People screw up when they try to attach other agendas to their views of a singular monstrous crime, the Holocaust. And it's people like Livingstone who validate people like Bibi. Opponents of Britain's European Union membership have edged into the lead over the past two weeks, according to a YouGov poll for The Times, indicating President Barack Obama may have failed to swing support behind "In" vote in a June 23 referendum. Set aside the fact that poll findings are being cited as Gospel so soon after their failure in the general election. 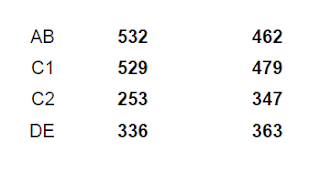 The table above is from YouGov's detailed tabulations from the poll referenced above. 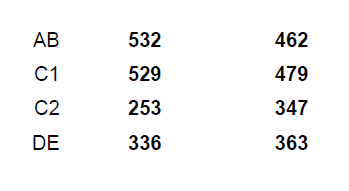 It shows the composition of the survey by the UK social grade system (A=highest); the first column numbers is the actual number of respondents in each grade, and the second is the reweighted numbers to make the sample more representative -- it is claimed -- of the voting population. The thing to notice is a massive upward reweighting, by 37 percent, of the C2 (skilled manual labour) group. It's a major assumption that your polling inference is stable when there's such adjustments going on with the sample. Air strikes hit a hospital in a rebel-held area of Syria's Aleppo and killed at least 27 people, including three children and the city's last pediatrician, the Syrian Observatory for Human Rights said on Thursday. The al-Quds hospital was supported by international medical charity Medecins Sans Frontieres (MSF), which said it was destroyed after being hit by a direct air strike that killed at least three doctors. At this stage, even Bashar al-Assad must be mystified at what Bashar al-Assad has to do for the "international community" to recognize that the ceasefire plus negotiations track is dead, as it has been for a long time. But everyone's "thoughts and prayers" will be with the people of Aleppo. Saudi Arabia’s Water and Electricity Minister has told consumers that they should apply for permits to dig wells if they are unhappy over the rising cost of their water bills. Arab News reported that Abdullah Al Hussayen had made the suggestion after an increased number of complaints from members of the public ... In December, Al Hussayen said that higher bills would not affect poorer parts of Saudi society. “The new tariffs are aimed at those segments of society who extensively consume water and electricity,” he told local media. “For example, 250 litres of water consumption per day will cost SR92 [$25] per month with the new tariff, and this is reasonable. We sincerely hope that with the new prices, people will start conserving water,” he said. The Minister was subsequently sacked as the reaction to water charges was not what the young Prince Mohammed bin Salman wanted right ahead of launching his big Vision 2030 reform plan. The charge which inspired such turmoil was 250 litres per day or 7500 litres per month for US$25, or around US$3.30 for 1000 litres. Ireland could be headed into a 2nd general election in 2016 over opposition to water charges that would be around US$2,20 per 1000 litres. That's something we desperately want, because both the United States and United Kingdom, but also a number of our other allies, are more than prepared to invest in helping create border security in Libya, and helping to drive out terrorists inside of Libya, and trying to make sure that what could be a thriving society -- a relatively small population, a lot of resources -- this is not an issue where we should have to subsidize Libya. They're actually much better-positioned than some other countries that we've been helping, if they can just get their act together. And we want to help provide that technical assistance to get that done. That logic -- that when a country has oil, it's up to the country to pay for putting the place back together after an intervention, and all that's needed is advice -- is what didn't help Iraq post-2003, and it certainly didn't help Libya in the last four years. President Obama told Chris Wallace (Fox News Sunday) only a few weeks ago that his worst mistake was "probably failing to plan for the day after what I think was the right thing to do in intervening in Libya." In fact there was a plan then -- which was to let the oil pay for everything and send in lots of advisers. And that's the plan he says he has now! We should all be a bit concerned that Brexit campaigner Boris Johnson is part-Turkish and may be seeking to undermine the European Union, who knows, perhaps even working with President Erdogan to do so! It’s a great time to be a consultant in the Gulf Cooperation Council. Less so for bankers. Demand for consultants and consultancy firms in the region was much stronger than expected in the first quarter and is set to stay that way for the remainder of the year, according to recruiter Morgan McKinley. By contrast, hiring by banks slumped 60 percent in the three months through March and isn’t likely to improve by December, it said. "If you’re a consultant, business is booming," Trefor Murphy, managing director of Morgan McKinley in the Middle East and North Africa, said in an interview. "There’s huge demand in places like Saudi Arabia and the United Arab Emirates as they transform their economies. Many bankers, on the other hand, will be struggling to hold down their job." A lot of the commentary on Saudi Arabia-US relations (including Nicholas Kristof today) still presents the bargain between the two countries as based on stability of Saudi oil supply. But that tanker sailed a long time ago. The US relations with the Gulf countries (and also true for western Europe) is about making sure that they spend their oil money on as much western stuff as possible, including consulting firms. It's that upper sphere of the Bobos, working for those firms, which now forms an influential constituency complacent about the ill-effects of US-Gulf relations. The heirs to the throne of Saudi Arabia, in sequence: Mohammed bin Nayef (left) and Mohammed bin Salman, during the meeting of King Salman with President Obama today. As much of a story in the dynamic between those two princes as between the President and King Salman. Presumably the cycle of FC Barcelona punditry which goes from over-the-hill, past it, busted flush (2nd half of 2014) to greatest team of all time (2015 into 2016) back to over-the-hill, chokers, etc (last 2 weeks) is now on the upswing again. Spain's Caixabank and Angolan investor Isabel dos Santos failed to reach an agreement on their shareholdings in Banco BPI, leaving the Portuguese bank with a costly exposure to the Angolan market, BPI said on Sunday. Caixabank and dos Santos, the daughter of Angola's president, said a week ago they had reached an agreement but the deal came undone after efforts to list BPI's Angolan banking unit BFA failed. BPI said dos Santos had failed to live up to the deal. Caixabank and dos Santos are BPI's two largest shareholders and the Spanish bank has been trying to buy her out and gain full control of BPI for at least a year. "After April 10, (dos Santos's holding company) Santoro Finance disrespected what had been agreed and made requests for changes to the contractual documents," BPI said in a statement. "As a consequence, BPI informs that the agreement announced on April is without effect." If you can't trust the mysteriously wealthy daughter of a poverty-stricken petro-state strongman, who can you trust? [link] When knocks on the door went unanswered and there was no response as rescuers announced that they were outside, the emergency workers decided to break through the door, officials said. As they did, gunshots erupted from inside, mortally wounding [fireman] Ulmschneider and injuring another firefighter and the man’s brother. Authorities said Saturday that they are still working to determine why the 61-year-old man allegedly opened fire. But a county fire spokesman said it may have been a tragic mistake — the man possibly thought that the rescuers were intruders seeking to break into his house. [link] Federal agents and the Hanover County, Va., sheriff’s office are trying to track down 30 firearms that were stolen from a Virginia gun store during a burglary late Thursday night, officials said. The guns were stolen from Hopkins Gun and Tackle in Mechanicsville about 11:50 p.m., according to officials from the ATF Washington Field Office. The burglary was the second at the store in less than a month, as a another theft happened there March 21 when multiple hand guns were taken, authorities said. Note in particular the recklessness involved in running an insecure gun store. The kind of people who lap up Davos elite chatter are probably very excited about the New York Times story saying that Saudi Arabia threatened to dump its entire holdings of US government bonds if the Congress passes an amendment to the sovereign immunity law which allows lawsuits against sovereign governments for complicity in terrorism on US soil -- the intent is to cover 9/11 lawsuits against Saudi Arabia. Let's go back again to that amendment which is apparently so harmful to Saudi Arabia. The photo above (via Saudi Press Agency) is Senator Lindsey Graham (R-SC), meeting King Salman 2 weeks ago. Senator Graham is among the co-sponsors of this bill. If there really was any chance of it passing, would either side be displaying a cordial meeting of this sort with such a rupture imminent? And in a classic weekend news dump, the Saudi Ministry of Interior has announced that it is taking 9 Yemeni Guantanamo Bay detainees into the softer version of its anti-terrorism program, among the many ironies thus being that these 9 Yemenis will be better off than most of their countrymen who are stuck in their home country. In short, US-Saudi relations aren't going anywhere. There might be a bit more Mutually Assured Cynicism than in the past, but each side still needs the other just enough to make the alternatives worse. UPDATE: Graham's farcical position on the Senate sovereign immunity bill is that having originally sponsored it, he then opposed it (helping explain the polite reception in Riyadh), but now that he's safely out of Riyadh, he might go back to his original position! Indeed, the revival of the mediating institutions of community life is essential to a modernizing conservatism. These institutions—from families to churches to civic and fraternal associations and labor and business groups—can help balance dynamism with cohesion and let citizens live out their freedom in practice. They can keep our diversity from devolving into atomism or dangerous cultural, racial and ethnic Balkanization. And they can help us to use our multiplicity to address our modern challenges. This is the old Burkean "little platoons" refrain, except that Levin has read enough Burke to know the phrase is dodgy, more of the Marie-Antoinette Burke than the liberal Burke. One huge gap in his argument: it's all about bottom-up from the people approaches to public policy, but he never explains where people would get the time to do all this platooning. That lack of time is partly a matter of wages and productivity which is not addressed at all in his framework, leaving only the independently wealthy and the unemployed with the time for his idealized community approach. But it's even worse than that, because in Levin's world, ordinary people are actually super-consumers, directly managing their own health care and educational choices from thousands of non-centralized providers. So after they make the right choice on a doctor, hospital, and price plan for their busted ligaments, and choose the right schools for their kids based on remarkably accurate observations of teacher performance, they'll then spend a few hours at the public library (which will of course have enough budget to be open in the evenings) discussing locally-driven ways to solve that pollution problem emanating from the next county over. The age of calculators indeed! UPDATE: David Brooks praises Levin's associated book Fractured Republic but obliquely criticizes its detachment from political structures. Meanwhile, in Afghanistan and Pakistan, ISIL has established a branch calling itself ISIL in the Khorasan—largely composed of former Afghan and Pakistani Taliban members. Note that ISIL in the Khorasan is not to be confused with the Khorasan Group in Iraq and the Levant (KGIL?) which is a name that only the US government uses for a faction of al-Nusra Front that they've been attacking over the last year, while claiming it's covered by their Iraq and Syria operations mandate. As for [tourist] trips to Turkey and Egypt, it didn’t depend on us. While the reasons behind the restrictions were different in these two cases, the results were the same. Why different? In Egypt, the current authorities are fighting radicals, but it’s not always easy. We see what’s happening there. Hostilities take place on the Sinai Peninsula almost daily. The former government, which was removed from power by the current president, and its supporters are quite active in this respect. So he's blaming the Muslim Brotherhood and the former Morsi government for Islamist terrorism when in fact the most lethal groups pre-date the Morsi overthrow, although they were certainly energized by the discrediting of the electoral path for Islamism. As in Syria therefore, Putin's theory of Egypt, which he shares with the current government, is to brand opposition as Islamist terrorism. Which is what Nasser used to do as well, especially when he needed to scare the middle class. In the United Kingdom, the planned June referendum on European Union membership has already created uncertainty for investors; a “Brexit” could do severe regional and global damage by disrupting established trading relationships ... In the United Kingdom, growth (forecast at 1.9 percent in 2016 and 2.2 percent in 2017) is expected to be driven by domestic private demand supported by lower energy prices and a buoyant property market, which help to offset headwinds from fiscal consolidation and heightened uncertainty ahead of the June referendum on European Union membership ... Over the near term, the main risks to the outlook revolve around ... (7) the United Kingdom’s potential exit from the European Union ...A British exit from the European Union could pose major challenges for both the United Kingdom and the rest of Europe. Negotiations on postexit arrangements would likely be protracted, resulting in an extended period of heightened uncertainty that could weigh heavily on confidence and investment, all the while increasing financial market volatility. A U.K. exit from Europe’s single market would also likely disrupt and reduce mutual trade and financial flows, curtailing key benefits from economic cooperation and integration, such as those resulting from economies of scale and efficient specialization. And, er, that's it! It's simply Davos elite style chatter written up as a few sentences, with zero analysis, and as an especially nice touch, it's listed as the 7th of 7 downside risks. And yet that's what will dominate the headlines in the UK for a couple of days. Ireland goes through spasms of chatter about the need for "media balance." The highly selective nature of this concern is amply revealed by this RTE (state broadcaster) story on the death following an arranged fight of mixed martial arts fighter Joao Carvalho. Every quote in the story is from people representing entities with a stake in the fight, and the quotes themselves have a strong PR flack whiff about them. Where's the balance? Scalia’s lesson for candidates who gripe about party nominating rules: Get over it. "People say that that decision was not based on judicial philosophy but on politics," [Lesley] Stahl asks. "I say nonsense," Scalia says. Was it political? "Gee, I really don't wanna get into - I mean this is - get over it. So the Journal's response to Trump is to celebrate a Presidential outcome in which the guy who got less votes overall won, and the vote count in the state that decided the election -- Florida -- was never completed. And then they wonder where the Trump base contempt for the rules comes from! China wants to work with the rest of the world to find an appropriate resolution to overcapacity in the steel sector, its foreign ministry said on Monday, after Britain asked the world's top producer of the alloy to hurry up and tackle the problem. Britain's Foreign Secretary Philip Hammond made the request while meeting his Chinese counterpart Wang Yi in Beijing on Saturday. If only there was some precedent for multiple countries to get together and collectively manage policy for heavy industries prone to gluts! That is a very good question. Let me answer it in full, because I think it is very important. Do I think it is okay to own shares in a unit trust that is registered in another country, whether it is in Dublin, Guernsey or elsewhere? He mentioned Dublin as a fund registration centre three times. Goldman Sachs Group Inc (GS.N) has agreed to pay $5.06 billion to settle claims that it misled mortgage bond investors during the financial crisis, the U.S. Department of Justice said on Monday. The settlement, which Goldman disclosed in January, stems from the firm's conduct in packaging, securitization, marketing and sale of residential mortgage-backed securities between 2007 and 2009, the Justice Department said. Investors suffered billions of dollars in losses from the securities bought during the period, the department said. David Cameron's release of his accountant's summary of his tax situation shows the limitations of focusing on the current income of well-off people. Going by his taxable income, he has no meaningful sources of income other than from his political career: his salary as MP and PM, and the rent on his house while he lives in Downing Street. But what's missing in those numbers is the life chances (as he likes to say) that got him to Eton, Oxford, special adviser positions with Tory governments, and a fast track through the party hierarchy. 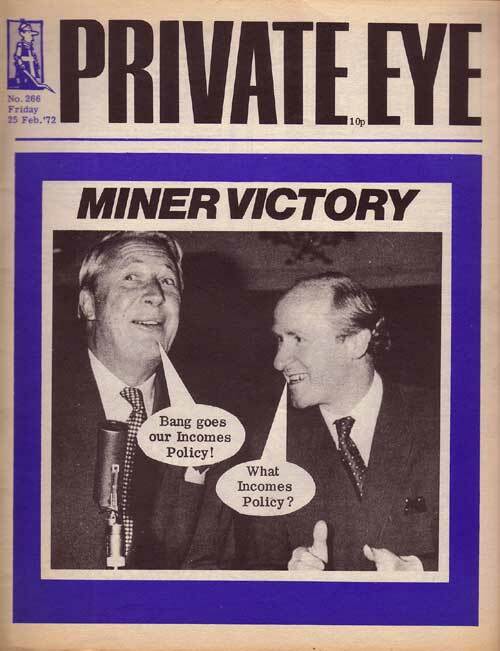 And after he's done being PM, there'll be additional income opportunities of the other Blairmore variety. Conclusion: his real wealth is not a number on any tax return. It's him. L'intéressé a précisé aux enquêteurs avoir "jeté sa veste dans une poubelle et revendu son chapeau ensuite", poursuit le communiqué du parquet fédéral qui n'organisera pas de conférence de presse sur ce sujet. Ismail Omar Guelleh won a fourth five-year term as Djibouti's president in an election on Friday, securing 87 percent of the votes cast, provisional results announced by Interior Minister Hassan Omar on Saturday showed. Lady Williams, whose marriage to Gavin Welby broke up in 1958, had worked as secretary to Sir Winston [Churchill] during his final spell as prime minister. In a statement published on the internet she said: "Although my recollection of events is patchy, I now recognize that during the days leading up to my very sudden marriage, and fuelled by a large amount of alcohol on both sides, I went to bed with Anthony Montague Browne. "It appears that the precautions taken at the time didn't work and my wonderful son was conceived as a result of this liaison." It's one case for sure, but it points to the risk of simplistic assumptions that modern working class dysfunction is driven mainly by risky behaviour. What is being variously reported in US media today as a "surprise" or "unannounced" visit by Secretary of State John Kerry to Baghdad was in the Iraqi media 2 days ago. Example: Al Mada. Izzat al-Douri, the "King of Clubs," Saddam loyalist and figurehead of Iraq's Baathist insurgency has popped up in a new video which aired on Al-Arabiya discussing what sounds like current events in Yemen. He was reported dead, yet again, in April of last year. He was believed to be in his late 60s and a native of the Damascus countryside. He served as an officer in the Syrian army in the 1970s and later took part in the Islamist-led insurrection against Hafez al-Assad, Mr. Assad’s father and founder of the regime. As that rebellion was crushed in the early 1980s, Mr. Alsouri moved to Afghanistan, where he trained jihadists fighting Soviet occupation at the time. From the Al-Assad military to the brutally repressed Muslim Brotherhood rebellion to fighting in Afghanistan to fighting the against the Al-Assads and Putin in his native land. The world is still paying the price for decades of blind eye to Hafez al-Assad, and the Russian invasion of Afghanistan. I’m talking about a bubble where you go into a very massive recession. Hopefully not worse than that, but a very massive recession. Look, we have money that’s so cheap right now. And if I want to borrow money, I can borrow all the money I want. But I’m rich. If a person that wants to put a lot of people to. . . . And I don’t need the money. I don’t have to borrow. I don’t even call banks anymore. I use my own money to do things. If I want to borrow money or if another rich person wants to borrow money, you can borrow money at, like, LIBOR plus nothing. And you’re paying one and a half percent interest, it’s crazy, and they’ll give you all you want. If somebody is a great, wonderful person, going to employ lots of people, a really talented businessperson, wants to borrow money but they’re not rich? They have no chance. Both Trump and Krugman are linking their economic analysis to the fact of very low interest rates, they just come to different conclusions from that. As Krugman says (about Bernie Sanders) "with influence comes responsibility," so people need to be careful with how loose talk about depression might be used! The 9/11 attacks were such a large scale assault on the USA that you'd think anyone with the remotest connection to the attacks has been rounded up or at least thoroughly accounted for. Mr. [Abderahmane] Ameroud had been convicted of providing logistical support to two Tunisian suicide bombers who assassinated Ahmed Shah Massoud, an Afghan opposition leader, two days before the Sept. 11, 2001, attacks in the United States. In 2005, Mr. Ameroud was found guilty of complicity in the murder. Mr. Ameroud was also linked to an Afghan and Pakistani network suspected of training would-be jihadists in a forest near Paris and in the French Alps. He was convicted of participation in a terrorist enterprise in 2007 and was thought to have been deported to Algeria after serving his sentence. It's considered highly likely that the assassination of Ahmed Shah Massoud on 9 September 2001 was a pre-emptive strike by Al Qaeda to weaken opposition to the Taliban given the challenges they would be under 2 days later. Indeed that assassination might itself have been a missed warning sign that something big was imminent. But one of the dudes directly connected to the assassination was out of jail and at large for several years before his name came on the radar screen again. 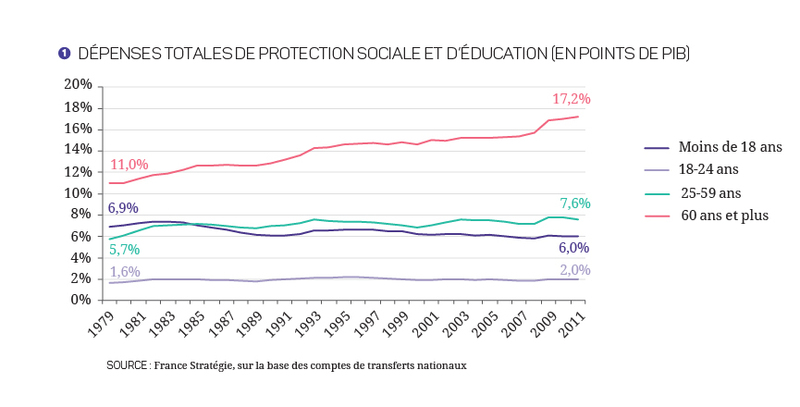 France: Total social protection spending by age group since 1979. And no, the surge in spending on people over 60 is not mostly due to there being a bigger share of people over 60. The generational divergence issue is thus not only in the UK. Source: France Strategy via Le Monde. March 31, 2016 (KHARTOUM) – Tens of thousands of South Sudanese from the greater Bhar el Ghazal region have continued to flee to the neighbouring Sudan due to combined threats of conflict and hunger, the United Nations Office for the Coordination of Humanitarian Affairs (UNOCHA) in Sudan, has reported Thursday. 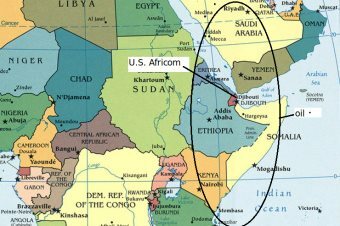 For the last two months, over 48,000 South Sudanese have arrived in East Darfur, South Darfur and West Kordofan states since late January 2016 and are in dire humanitarian situation in the neighbouring country. Note: these are people fleeing into Darfur and Kordofan, which are normally seen as among the worst human rights crises in the world. That's how bad things are in South Sudan. Archaic footnote: Reaganomics produced an historic economic boom, for everyone, from 1983-90. He never stops to consider why, for his own sales pitch on Reagan, he has to drop the first three years of his presidency, and add two more at the end. It's because he's doing a classic fallacy of economic cycle comparison, trough to peak averaging. Against the backdrop of a botched budget and a raging debate about EU membership, the two lead items on the BBC news last night were crisis in the steel industry and a massive current account deficit. Image: a Heath-Barber cover from 1972.